He was the 11th son of a Chinese Emperor and would become an Emperor himself when his older half-brother died. Born Zhao Ji in 1082, the future Emperor more than likely assumed that he would not be called upon to rule during the Song Dynasty. It might have been better for China if Emperor Huizong of the Song Dynasty had simply remained a member of the ruling house instead of becoming its patriarch. His love of art led to decisions that weakened the armies, led to his own abdication of the throne, his capture by the members of the Jin Dynasty and the end of what would become known as the Northern Song Dynasty. The Famous Artists is including Emperor Huizong, not for his activities as Emperor but for his artistic skill which is why we decided have listed him under his given name rather than his imperial one. Had Zhao Ji not been an artist in his own right, he would be remembered by the art world for establishing an imperial court that welcomed artists, musicians and poets and establishing the Han Lin Hua Yuan, imperial painting house. He also amassed a collection of paintings that included over 6,000 works of art. Ji was himself a great poet, painter and calligrapher. He also played the guqin, a seven-stringed instrument in the zither family. 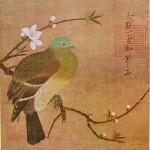 Zhao Ji primarily painted birds and flowers. His work is not that of an idle rich man's son but that of a talented artist. He is credited with inventing “Slender Gold”, a style of calligraphy that was named for his technique which resembled twisted gold filament. 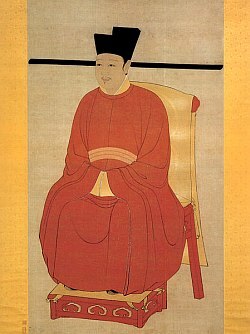 Zhao Ji, the former Song Dynasty emperor and famous Chinese artist died while being held in captivity by the rival Jin in 1135.